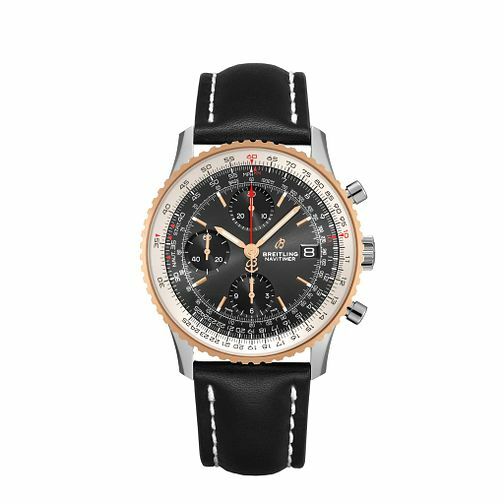 A smaller scale to the original Navitimer, this two-tone watch features a stainless steel and 18ct rose gold plated case, showcasing a classy black dial with co-ordinating rose gold tone hands and line indices. A bidirectional rotating bezel is a signature feature, supporting the chronometer-certified self-winding mechanism. A black leather strap will never go out of fashion, the Navitimer is built to last.